Pat passed away peacefully in the early morning on August 29, 2018 with Lori, Cathy, and Darla by her side. During her stay at Ebeid Hospice, she was surrounded by her family as well as her niece, Frances Kurth, friend Eva, and Laurie. Pat was born and raised on “the Farm” in the lost peninsula at the end of Point Place with her parents, Frederick and Laura (Christensen) Wernert, and her sister, Anna Schill. One of her favorite memories was riding along with her uncle on his route to deliver milk to the families in the local area. She was a waitress at the Yum Yum in North Toledo for many years. She later was a cook for 21 nuns at Monastery of the Visitation Toledo, Ohio. She enjoyed playing Pinochle, Euchre, and Bingo. She enjoyed watching NASCAR Racing and never missed watching her favorite football team, The Steelers. She went on to start a family and had seven children. She was blessed later in life to have Orville J. Hill as her loving husband and step-father to her children. He preceded her in death in 1981. Pat is survived by her children, Brian Gokey, Bernard (Amy) Gokey, Lori (Donald) Holden, Terrie Tarr, Raylene (Dave) Shuster, Cathy Coleman, Mike (Renea) Tarr; grandchildren, Jason, Josh Gokey, Heather (Brack) Mullins, Jeremy (Hollie) Schexnayder, Tyler Gokey, Lydia Gokey, Abigail Gokey, Caleb Gokey, Daniel Gokey, Darla (Mike Glenn) Wandtke, Kristina Holden, Jimmy Galloway, Tiffany Urbina, Benchi Trevino, Aaron Felder, Sarah Tarr, Kimberlee Hooper, Cydney Hardeman, Mallory Tarr; and 23 great-grandchildren. She is preceded in death by her parents; husband; and sister. In respect to Mom’s wishes, a funeral service will not be held; a Celebration of Life will be held at a later date. Please consider donating to your local animal shelter in mom’s memory. Special thank you to Joan Glenn for her kindness, compassion and special prayers. 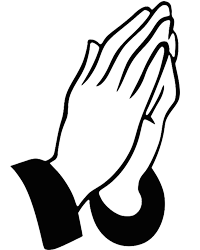 A special thank you for Monsignor Michael Billian for his comfort and prayers. A final thank you to Freck Funeral Home for their aid in our time of need. Never good bye ~see you again~ Thanks for the glitter.